Expired 4mo ago . Last validated 3mo ago . Used 5 times. Orlando Rodriguez I have tested this deal and it does not work as described. 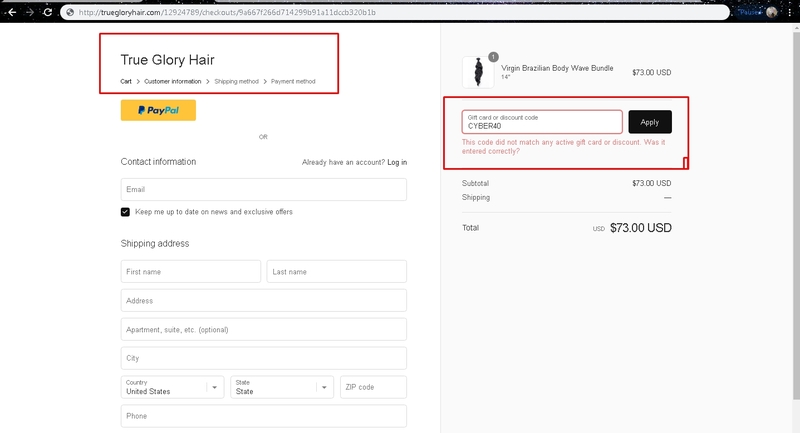 This promo code is not valid or it has expired. nelio Use code CYBER40 to save 40% off your order at True Glory Hair.